Looking for a consultant to solve your cloud computing challenges and get you to the path of better efficiencies? Is your company nimble, efficient and operating with cost efficiency? 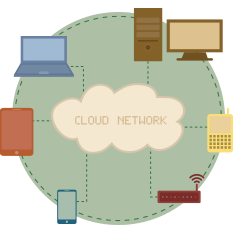 Our Cloud Computing Consultants specialize in creating an IT infrastructure that is flexible, scalable and cost-effective. The cloud allows a business to quickly scale its resources. The term “Cloud” is getting a lot of hype as it becomes mainstream. New vendors, products and services are popping up everywhere promising that their solutions are right for you. Intellex Communications consultants understand the key characteristics of the different cloud computing solutions and what benefits they can provide your organization. Implementing a Cloud Computing system requires adjustment in the current workflow and a departure from traditional technology. Our consultants can assist you with designing a custom a cloud computing strategy. • Identify storage space from third-party service providers lowering demand for additional servers on premise. • Optimize the consumption of electricity by reducing the number of servers operating at your business. • Decide which cloud deployment option is right for your organization. • Evaluate costs of private versus public cloud deployments. PCMag.com sums it up by saying, “For it to be considered "cloud computing," you need to access your data or your programs over the Internet, or at the very least, have that data synchronized with other information over the Net.” Work from anywhere, anytime; perform on-demand and efficiently, no matter where you are. [Excerpt from Comtel] A hosted environment allows users to shift the heavy lifting of storing and running applications from local equipment to a robust network. Off-premises network infrastructure enables built-in disaster recovery functionality and ensures prompt service restoration in the event of critical failure.